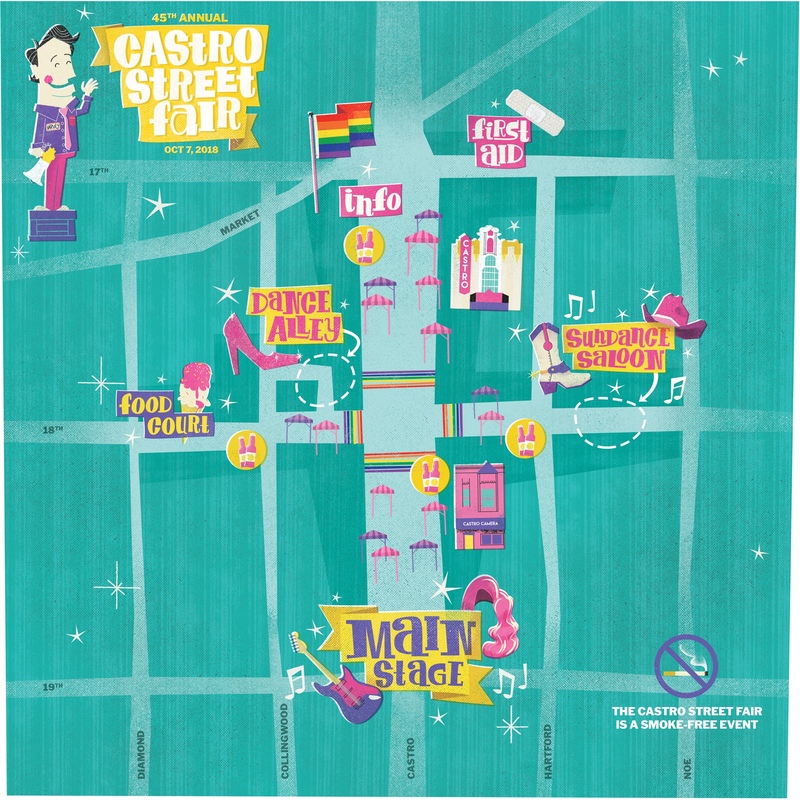 We are excited to welcome all of you to the 45th annual Castro Street Fair, today from 11am to 6pm! A great day of entertainment, exhibitors, food, and beverages awaits you. Stop by our Info Booth at Castro and 17th streets to pick up a limited-edition 2018 T-shirt. Have a Trumer Pils at one of our four official beverage booths. Your donation of $5 to $10 at the entry gates gets you $1 off that beverage! Watch fun live performances at our Main Stage, found on Castro near 19th street. Dance with friends at Dance Alley and Sundance Saloon, pick up some new swag at our vendor booths, or just hang out and people watch. We look forward to seeing you! Thank you for a great 45th Annual Castro Street Fair!